UK Lotto is also known as The National Lottery. The first lotto draw was launched on the 19th November 1994 in the UK. Since then the lottery has attracted hundreds of lotto players every week. UK National Lottery is the favourite lotto played in Britain. The crossed fingers are a symbol to wish you good luck on the exciting draws held every week. With growing jackpots and a winning ticket, you can count your lucky stars for a blissful future. Take part in the UK Lotto by choosing six numbers from a range of 59. To win the lottery, all you have to do is match all six numbers in the hopes of winning the top reward. The cut off time for buying your online ticket is between 4pm and 5pm GMT. The deadline for claiming your prize from UK Lotto is within 6 months after the Lotto drawing. If you are not a UK resident, you can play online by signing up to one of the operators we promote on comparelotto. You will receive an email to notify you of your confirmed ticket or if you won a prize. You can join in the lottery fun, buying your tickets online for up to eight weeks in advance. Fortunate for you, matching two numbers wins you a free lotto lucky dip. On top of that your freebie is entered for the next draw for your chance to become a millionaire. With jackpots reaching millions, you could be living the luscious life in Caverswall Castle. A great countryside haven, built in 13th century. The character of the place features large stained-glass windows and the grand oak panelling. Connecting the three floors is a fine oak staircase with carved mythical creatures. The castle also has a moat filled with natural spring water which makes you live history all over again. It all started with John Major, the Prime Minister of the UK who held office between 1990 till 1997. He came up with the aim of raising money through the UK National Lottery. The first UK draw launched in November 1994 with a jackpot of £5.8 million. 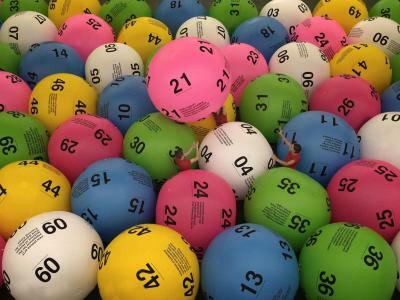 The UK Lotto gained so much popularity that a second weekly lottery draw was added on a Wednesday. Thanks to more draws in the week you have more of an opportunity to win cash prizes. In 2002 the UK National Lottery changed its name to Lotto. This change came with an extra prize tier and a guaranteed £1 million prize for each draw. From a pool of 49 balls, there were 10 balls added for a total of 59. The unclaimed jackpots fund several organisations like Clowndoctors, Dance Syndrome and Yorkshire Sculpture Park. National Space Centre, Make a difference, Royal Shakespeare Company and more charities also benefit. The cut off time for buying your online ticket is between 4pm and 5pm GMT. The deadline to claiming your prize from The UK National Lottery is within 6 months after the Lotto drawing. The UK National Lottery has a limit of four rollovers that raises the top prize. What’s more is that when more people play lotto, the chance of winning one of the smaller prizes is 1 in 10. Many people tend to buy more online tickets as the jackpot reward increases. Knock on wood whilst filling out your ticket to wake the tree spirits, working in your favour for a big win. Following Chinese traditions, it is safe to wear red clothing to ward off evil spirits whilst betting your numbers. You may never know what the future has in store for you…. When is the UK lottery drawn? The UK Lotto draws take place twice weekly every Wednesday and Saturday nights at 8 pm GMT. 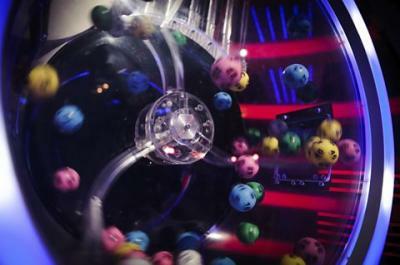 The lottery draw is broadcast live on BBC One on Saturdays. At Camelot's headquarters, the UK pool game is held in London. You can keep track of the results by watching videos of the draws through the Youtube channel. For more updated news and results of the UK draws, you can check online on our partner sites. In January 2016, the largest jackpot recorded was an amazing £66 million in the UK Lottery. 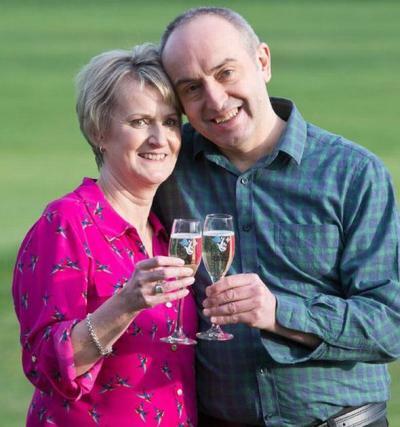 An amazing £66 million divided by two lucky lotto players. An anonymous lotto player from Worchester claimed half the jackpot winnings. David and Carol Martin from Hawick, Scotland claimed the other £33 million. Since their win, a first class flight ticket they sent their daughter to fly back home. They had to buy £5 champagne glasses on realising they had none to celebrate. In future, they intend to buy a Crystal set of glasses. They have been thinking of helping their family and friends. They will be donating some of their winnings to flood relief in the community. David and Carol Martin are still thinking what to spend their winnings on. In future, they hope to get a Range Rover, an automatic car and a new house. Everyone just loves the thrill of winning a prize, so exciting you just cannot hide it. You never know what destiny has in store for you until you have bought that golden ticket to travel the world.